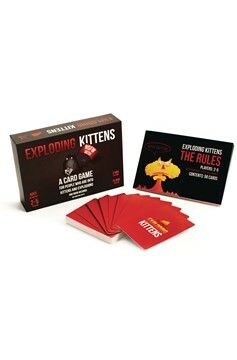 In this 'NSFW' edition of Exploding Kittens, the highly strategic kitty-powered version of Russian Roulette, players attempt to avoid drawing 'Exploding Kittens' (which boot them from the game) using dirty sasquatch underpants, releasing the torture bunnies, and drinking an entire bottle of bald eagle tears. 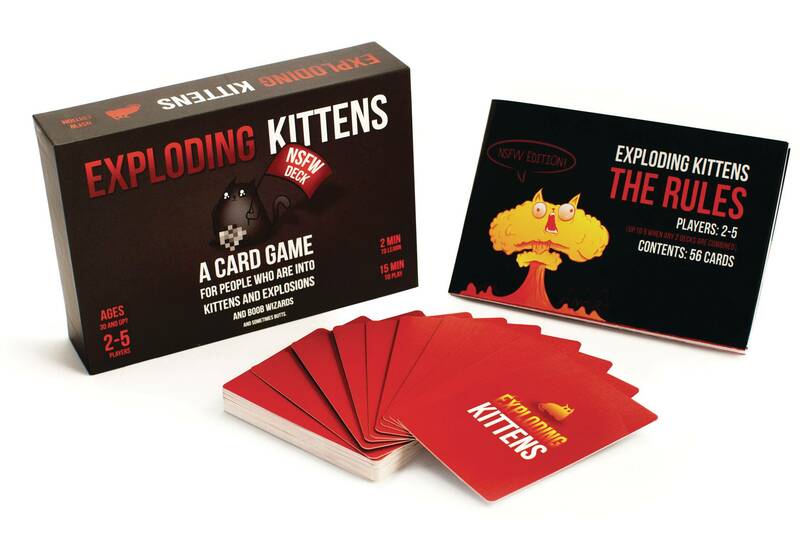 Wonderfully inappropriate, super fun, and easy to learn, this 'NSFW' version of the game contains the full version of Exploding Kittens, but the artwork on each card has been replaced with content too horrible (read: Amazing!) to be used in the standard Exploding Kittens game!.